Building a fantastic car is one thing; building a generation after generation of them is another. Even fewer can claim the distinction of having their cars referred to as “iconic” but thanks to the Golf GTI, Volkswagen can do just that. The GTI badge has been around for over forty years now. Just twelve months after the Mark 1 Golf was introduced, Volkswagen turned up to the 1975 Frankfurt Motor Show where they rolled out a version with a 1,588 cc four cylinder engine with a K-Jetronic fuel injection system. The GTI was born. The first model developed 110bhp at 6,100 rpm and 103 lbs ft of torque at 5,000 rpm. These numbers, combined with an unladed weight of 810 kg, meant the first GTI could hit 60 mph from standstill in nine-seconds before reaching a top speed of 110 mph. 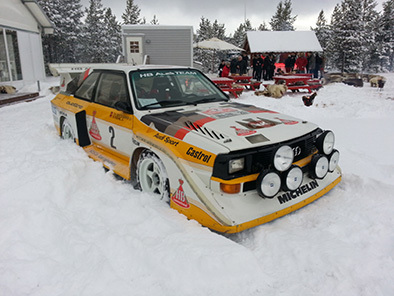 Despite being only available in left-hand-drive in the UK and Ireland it proved a huge hit. After 1979, when the right-hand-drive version hits these isles, sales hit the thousands. Five years later the Mark II GTI brought a slight power increase and proved to be as big of a hit as its predecessor. The German manufacturer did produce the fastest GTI t to date, the G60 version with 160bhp, however they kept it for themselves and never made it available outside of Germany.Three years later the Mk III GTI was launched, bringing with it a new 2.0-litre eight-valve engine and improved aerodynamics. In 1993 the GTI fitted was with a 2.0-litre 16-valve engine, further raising the power output to 150bhp, which in return dropped the 0-60 mph time to 8.3 seconds and raised the top speed to 133 mph. The first time I got behind the wheel of a GTI it was Mark IV; introduced in 1998 it brought with it some pretty significant changes. The Mk IV GTI made significant gains in refinement and safety – in 2002 VW produced their fastest accelerating and most powerful GTI yet in the form of the 180 PS GTI 25th Anniversary Edition. It was the success of this more powerful vehicle that inspired the introduction of the Mk V GTI. Fast forward to September 2004 and the Paris Motor Show where the Mk V GTI equipped with a 200 PS engine was not only the most powerful but also the most focused GTI yet produced. 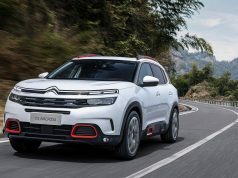 A new 2.0-litre TFSI engine linked to a six-speed gearbox and standard Electronic Stabilisation Programme (ESP) were linked to a new chassis equipped with MacPherson struts at the front and a multi-link configuration at the rear. Visual cues were taken from the original GTI with the return of the tartan interior and the red surround to the grille element – even the GTI typeface used on the badge echoed that of the original. Following its launch in 2009, the Mark VI GTI took over as the hot-hatch of choice. Although it was widely considered as just an updated Mark V, the interior did get a big makeover after its predecessor the Mark V was met with criticism from customers. 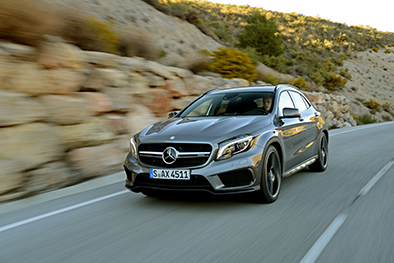 Powered by the 210bhp 2.0L TSI, it was offered in 6spd Manual or the DSG Automatic. Fast forward to 2017 and we have the current incarnation, the latest version of one of the world’s most iconic cars. 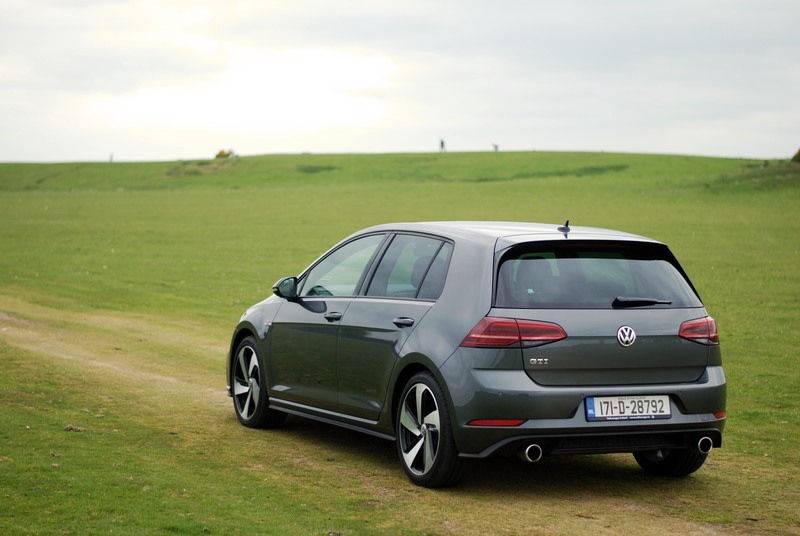 The 2017 Golf GTI is an update of the Mark VII GTI rather than a complete new model. 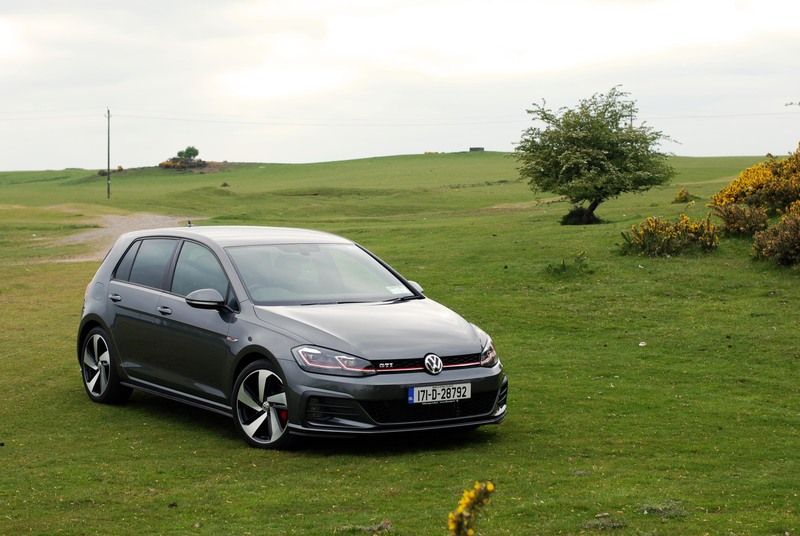 As has been the trend of recent years, this latest GTI is quite discreet considering its ability for breath-taking performance. A subtle red pin-stripe runs across the GTI’s nose and through the front headlights denoting that this Golf is even more special than the rest. The subtle accents of red lift the metallic Indium Grey paintwork of the test car giving the GTI a classically menacing colour scheme. It sits on 18” ‘Milton Keynes’ alloy wheels, which combined with the GTI specific sports bumpers, honeycomb grille, red brake calipers, chrome exhaust tips and deep red taillights leave you in little doubt that this car means business. Along with the larger wheels, LED headlights and rear lights as well as tinted rear windows are now standard features. When you open the door, the retro styled “Clark” tartan upholstery of the sports seats is immediately noticeable. This tip of the cap to the original, Mark I GTI, acts as a reminder that you are about to get behind the wheel of a car from one of motoring’s greatest blood lines. 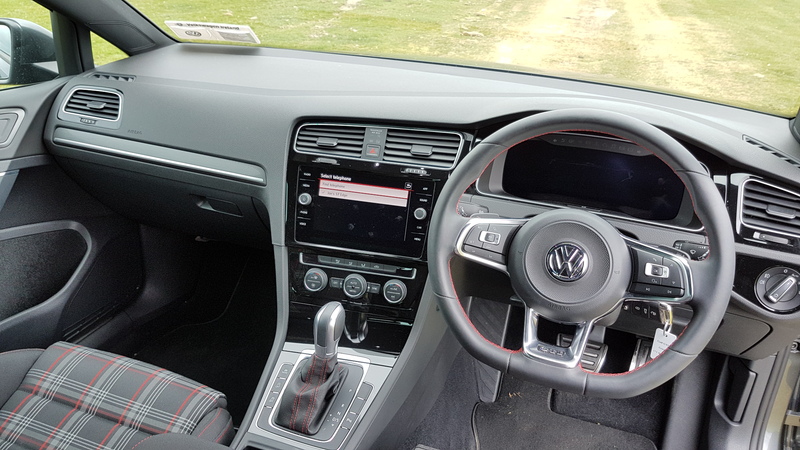 The leather-flat bottomed steering wheel and the new 8” ‘Composition Media’ infotainment system with its clear glass touchscreen are classy features; though in typical Volkswagen fashion, the rest of interior is otherwise subtly understated. 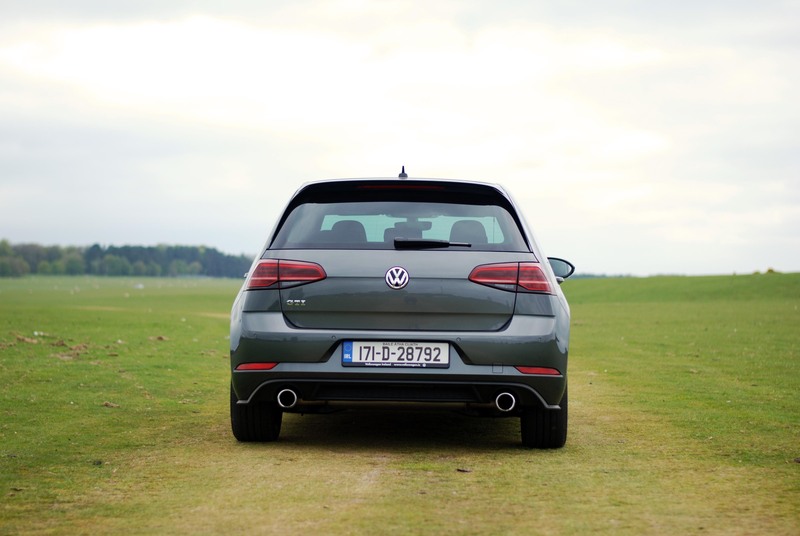 Despite its sporty pedigree the GTI remains a very practical hatchback, it is after all a Golf. With 5 doors, it can easily accommodate 5 passengers and has 380 litres of boot space or alternatively 1,270 litres if you drop the rear seats. The GTI’s 2.0L TSI engine was in this case was paired to a 7 speed DSG automatic gearbox. The 230bhp it produces can push the GTI all the way 250kmph whilst the 350Nm of torque ensures that the first 100kmph of that can be covered in just 6.4 seconds. The steering is nice and positive and is weighted beautifully. If Volkswagens claimed consumption figures are to be believed the automatic version will require just 6.4 litres of fuel for every 100kms travelled. This undoubtedly requires more disciplined driving than I was capable of because if I’m to be honest, I rarely took the GTI out of sport mode. The hum of the exhaust notes during spells of more enthusiastic driving is just glorious so economical thoughts were not exactly at the forefront of mind. However in saying that I still managed around 7.5L/100km; which when the GTI’s performance is taken into account, is still incredibly frugal. Truth be told, the 2017 GTI Golf is as complete a car as you could find. 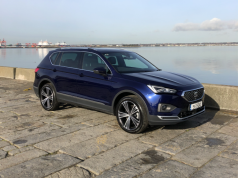 It ticks the boxes in terms of looks, comfort, economy, performance, and practicality. But then again, that’s what GTI Golf’s have always done. 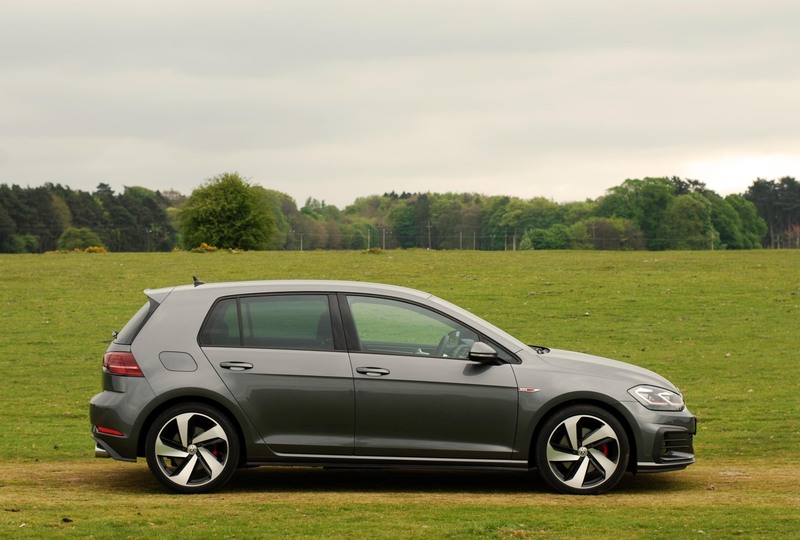 Sure you could suggest a more practical alternative, or a more comfortable rival, perhaps even a faster car or a more environmentally friendly one; heck you could even pick each of them from within the Volkswagen Golf range. Though that’s the point isn’t it? The Golf GTI is literally the common denominator, the happy medium. 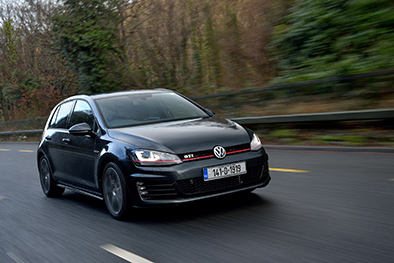 Dare I say it, but perhaps the GTI is the perfect balance of all that you need in a car? 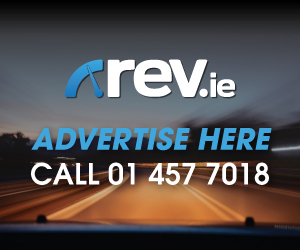 The 2.0L TSI engined GTI with the DSG gearbox and in 5 door guise is priced at €41,370 while the test car with the addition of its metallic paint cost €42,627. Next articleRange Rover Velar Is Here!